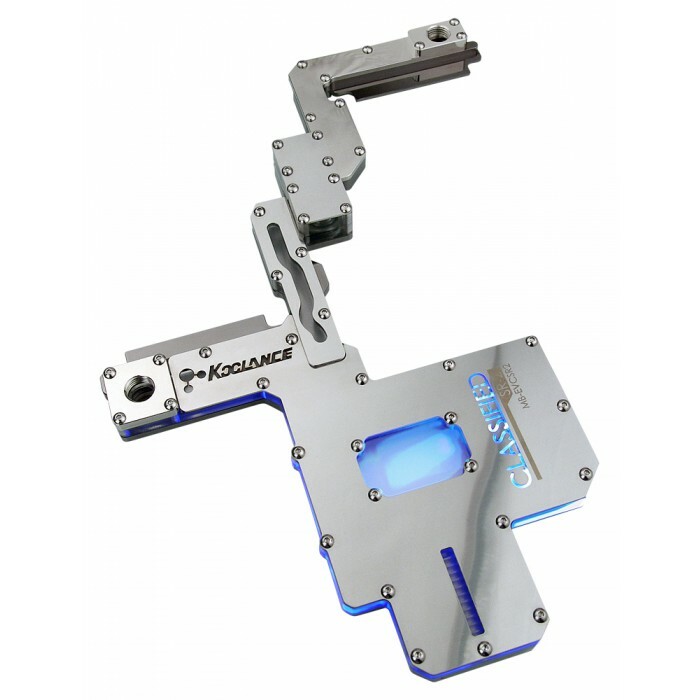 The MB-EVCSR2 is a single-piece water block designed exclusively for the EVGA Classified SR-2 motherboard. 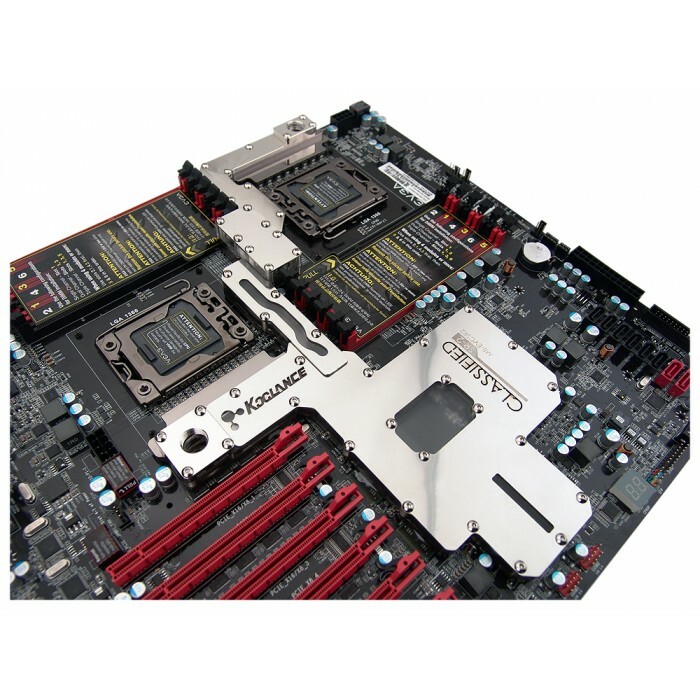 It liquid cools the northbridge and southbridge chipsets, along with nearby components. Blue LEDs are included for optional illumination. Materials include copper with anti-corrosive nickel plating and an acrylic and brass body. G 1/4 BSPP fitting threading. NOTE: The MB-EVCSR2 is a single piece block and overlaps the CPU socket keep-out areas in some locations. 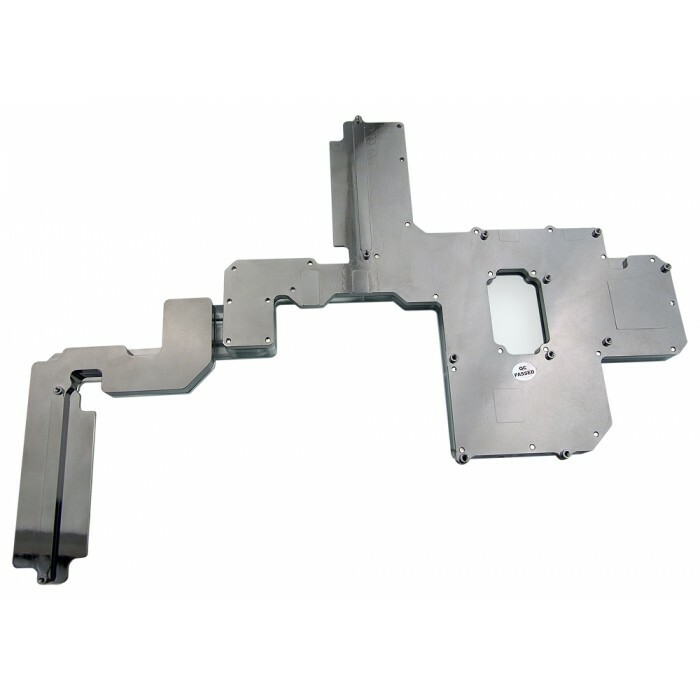 This may cause physical conflicts when using some types of CPU water block brackets. The Koolance CPU-360 is recommended to avoid compatibility issues.